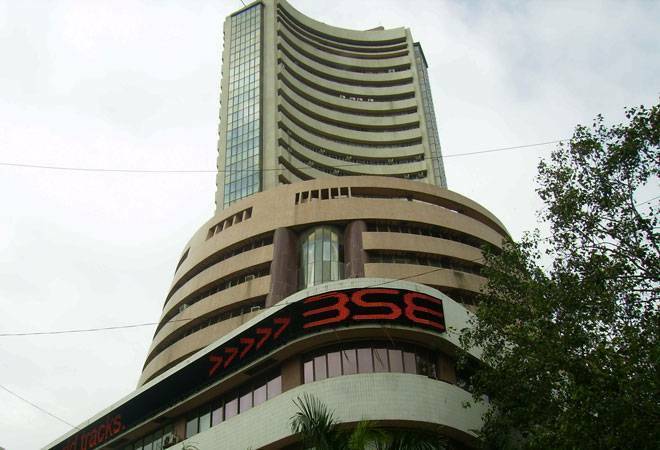 The Sensex and Nifty fell nearly 3% in trade today a day after the indices logged their best gains in over six months. While the Sensex fell over 1,000 points to 34,063 in early trade, Nifty fell 322 points to 10,138 level. Of 30 Sensex stocks, 29 were trading in the red. Top losers were Vedanta (4.54%), Tata Steel (4.30%) and Infosys (4.18%). On Wednesday, the Sensex rose 461 points or 1.35% to 34,760 and the Nifty ended 1.54% or 159 points higher at 10,460 level. Here's a look at factors which led to the market crash today. Global markets crashed after US stocks plunged as investors, fearful that rising interest rates and trade tensions could hurt company profits, ramped up their selling of high-flying technology and internet stocks. The Dow Jones Industrial Average fell 831 points, its worst loss in eight months. The panic selling in the US spread to Asian stocks too with Hang Seng falling 1000 points, Nikkei down 4.20% and Taiwan T Sec 50 index losing 650 points in trade today. Selling by foreign institutional investors (FIIs) in Indian market has intensified after the US Federal Reserve on September 26 lifted its short-term rate - a benchmark for many consumer and business loans - by a quarter-point to a range of 2 percent to 2.25 percent. This made US government bonds returns more attractive for FIIs. A rate hike by Federal Reserve led to a rise in US treasuries yield and acted as an incentive for foreign funds to park their money into the US markets since they will get higher returns for their investment. This led to foreign fund outflows from the Indian market as rate hike will lower investment returns for foreign investors and prompt them to sell. In September, Domestic institutional investors (DIIs) poured in Rs 12,504 crore into the Indian equity market minimising the losses for Indian bourses. During the last seven sessions in October, DIIs stepped up their buying and infused Rs 12,325.98 crore into Indian markets compared to Rs 18,729.60 crore sell off by FIIs during the same period. US President Trump on Wednesday criticised the pace with which Federal Reserve was raising rates. Trump said he believes the Fed "is making a mistake" with its campaign of rate increases. "I think the Fed has gone crazy," he said. The FII outflows in September and October, rising crude prices and a high current account deficit has put rupee under pressure. In fact, the rupee has fallen over 16% since the beginning of this year, affecting sentiments in the equity market. The rupee fall has spelt bad news for the Indian market as the country is 81 per cent dependent on imports to meet its oil needs and is the third-largest importer of crude after US and China. A burgeoning current account deficit (CAD) has become a big worry for the home currency and the economy. The economy reported widening of CAD in the first quarter of this fiscal to $15.8 billion, which is around 2.4 per cent of the country's Gross Domestic Product (GDP), as compared with $15 billion in the corresponding quarter a year before. Estimates peg CAD higher for this fiscal year. Bank of America Merrill Lynch has widened its current account deficit (CAD) estimate by 0.20 per cent to 2.8 per cent of GDP for fiscal year 2018-19 citing high crude oil prices which the brokerage said can reach up to $95 by June 2019. It also raised its forecast by 0.10 per cent to 2.9 per cent in FY'20 with oil strategists hiking Brent forecasts, the brokerage said. Economists expect the CAD to rise to 2.7%-2.8% of the GDP this year year on higher imports of electronic goods and rising oil prices. The rupee today fell to its all-time low of 74.48 to the dollar intra day amid market crash across the globe.